If you were hoping something spooky would happen on Halloween, well, it just might. According to NASA, an asteroid is expected to pass incredibly close to Earth on Halloween, marking the closest approach since 2006. 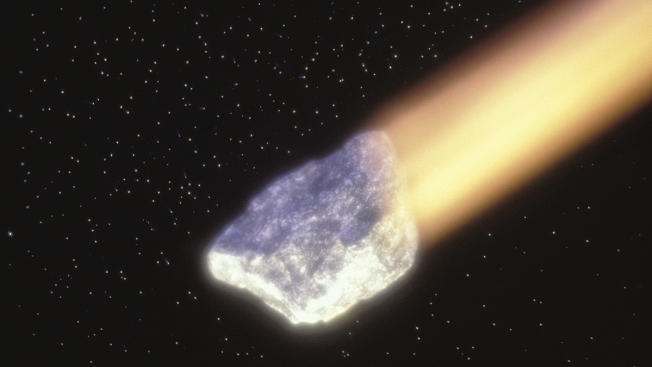 The asteroid, called 2015 TB145, is slated to come closest to Earth around 12:12 p.m. Central Time. The object could come as close as 1.3 lunar distances from Earth, or 310,000 miles, NASA predicts. “The flyby presents a truly outstanding scientific opportunity to study the physical properties of this object,” NASA said in a release. The last approach closer than this was in July 2006, where an object came to 1.1 lunar distances away. The next time an object is expected to come this close to Earth is August 2027, when 1999 AN10 is expected to reach within 1 lunar distance. While it won’t be visible to the naked eye, it can be seen through a small telescope.